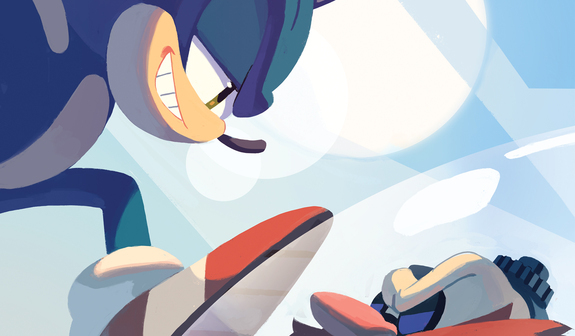 IDW teases Sonic the Hedgehog #5, the return of Dr. Eggman! 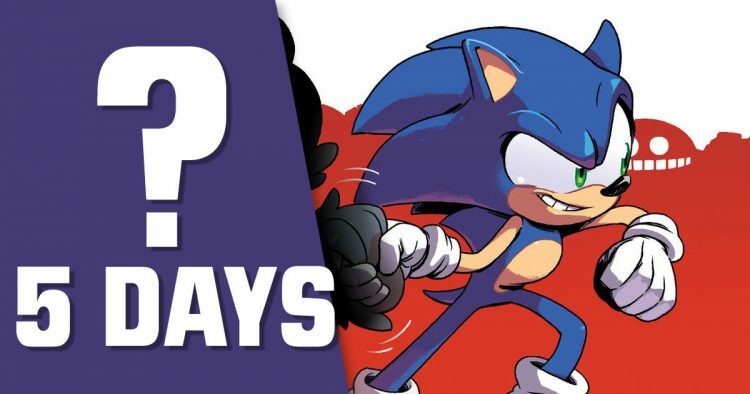 We know that all of April will have Sonic the Hedgehog IDW comics, as they are releasing four whole issues for the month. After that its back to a monthly title with Sonic the Hedgehog #5 which is set to include the return of everyone’s favorite Sonic villain, Dr. Eggman (or Doctor Robotnik depending on your age). 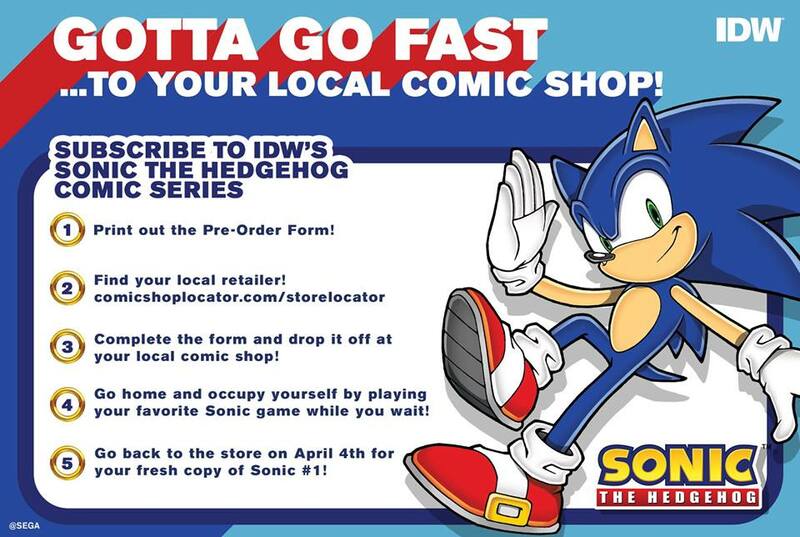 IDW Publishing has tweeted out a printable Sonic the Hedgehog pre-order form that you can take into your local comic book shop to pre-order the upcoming series. You can check out where your local comic book shop is by clicking here. While I’m always up for everyone to support their local shops, if you happen not to live by a good comic book shop, you can always pre-order your comics at a huge discount via DCBS. Hit the jump to get the second sheet to fill out. Who is pre-ordering it? As far as who this mystery character could be, who knows. IDW didn’t say if it was a new character created for the comics or if its someone that is returning. But who do you think will be joining Sonic the Hedgehog in his new upcoming comic book? Do you want to see a new character or returning character? Let us know the in the comments below. Sonic Forces releases today, and with it we have the fourth Sonic Forces web comic with art by Adam Bryce Thomas and writing by Ian Flynn. This issue focuses on Eggman and how he met Infinite. While I would usually classify this as a spoiler, from what I’ve heard of the Episode Shadow DLC and from reading this, you are likely better off consuming this and the DLC before playing the game, as this is where Infinite’s back story is covered. After the break, read the full digital comic! 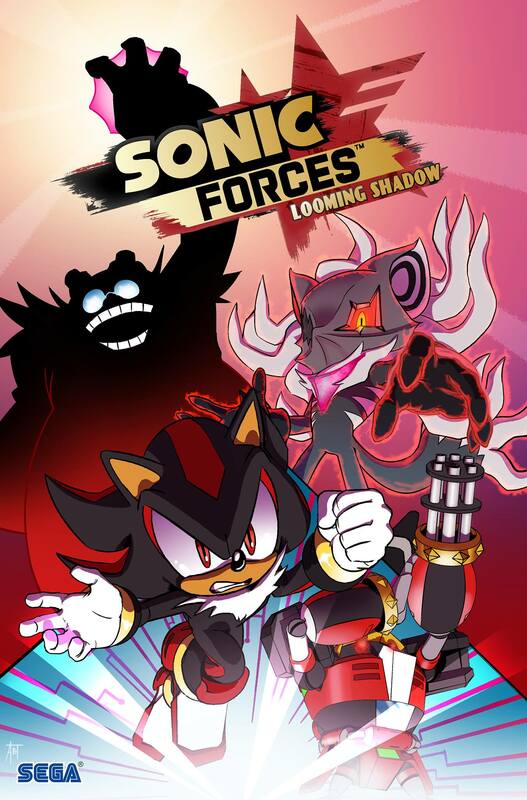 The third Sonic Forces prequel web comic has released, titled “Looming Shadow”, and this time Team Dark take front and center as Shadow, Rouge and Omega infiltrate Eggman’s base only to encounter Infinite. As usual, the art by Adam Bryce Thomas and writing by Ian Flynn is great. After the break, read the full story! 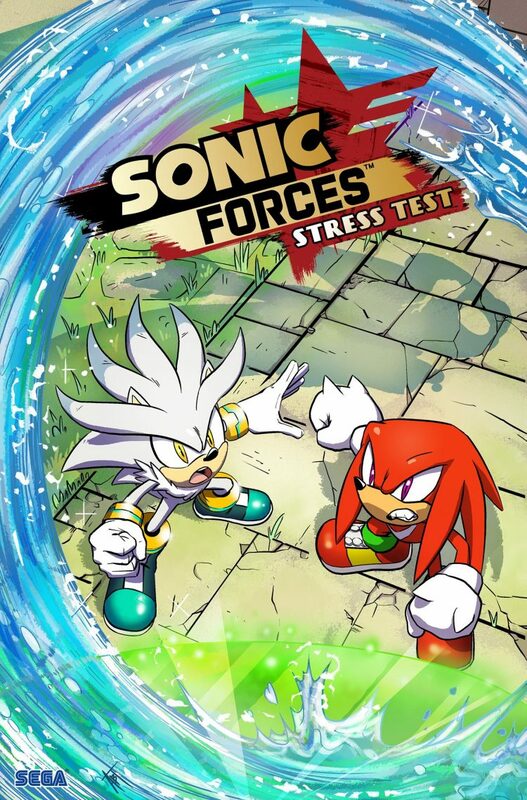 Knuckles and Silver team up in second Sonic Forces prequel comic, titled “Stress Test” – Read it now! The Sonic Forces free digital prequel comics from Ian Flynn and Adam Bryce Thomas continue with the surprisingly enjoyable “Stress Test”. It seems our guesses were wrong, as each prequel comic is not focusing on a different custom hero. Instead we see Knuckles and Silver battling Chaos. What is so exciting about this one is all the Sonic Adventure plot elements, including a jump back in time to the echidna village and the appearance of Eggman and The Phantom Ruby, last seen in Sonic Mania. It’s exciting to see the various Sonic games tying together and hopefully some of these plot elements are referenced in Sonic Forces. After the break, read the full issue! The first, free digital issue of the Sonic Forces tie-in comic being titled ‘Moment of Truth‘ has been released by SEGA. This promotional tie-in issue is set to give users a taste of one of the many created avatars that have joined our Sonic the Hedgehog heroes in the fight against Eggman. On this episode of the SEGA News Bits we will give you our opinion on the Sonic Forces ‘Moment of Truth’ tie-in comic, our thoughts on the story, tone, and what we will like to see in future issues. 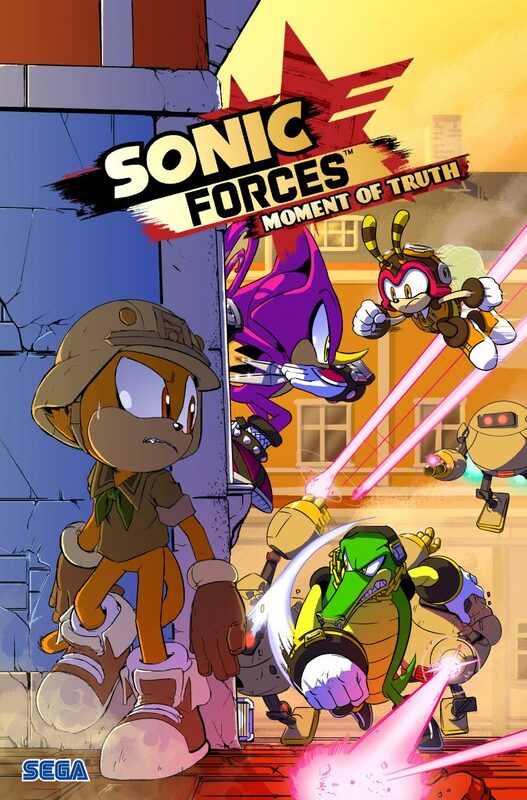 Tune in and let us know what you’re thoughts on the Sonic Forces ‘Moment of Truth’ promotional tie-in comic! This is a surprise! 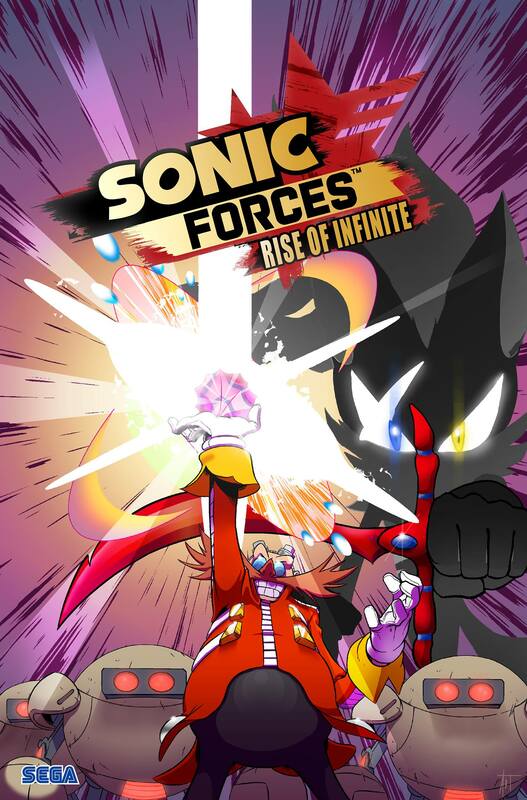 Coming off of the IDW panel last week which revealed former Archie Sonic writer Ian Flynn was heading up writing duties of the new IDW series, fans were wondering if we would see a Sonic Forces adaptation and… we are! Today! SEGA and Sonic Team have announced a four-part digital comic series scripted by Ian Flynn which serves as a prequel to the upcoming Sonic Forces. The first part is titled “Moment of Truth” and stars the Chaotix and the Custom Hero Character, and can be read after the break. More chapters release later this month. We all know the long story about how SEGA and Archie had a disagreement with the Sonic the Hedgehog license and that they are now relaunching the long running comic book series under publisher IDW. Thanks to the New York Comic Con ‘IDW Sonic Comic Town Hall panel’ we now know new information on the relaunch that has been confirmed for April 2018. On this episode of the SEGA News Bits we talk about getting four issues in April 2018, Ian Flynn being named head writer, Tyson Hesse doing promotional art for the event, and the return of The Freedom Fighters? Tune into the episode and let us know your thoughts on the IDW Sonic the Hedgehog comic book relaunch in the comments below! IDW and SEGA also confirmed that Ian Flynn, who took over writing duties on Archie’s Sonic the Hedgehog since issue 160 back in March of 2006 will back as head writer. 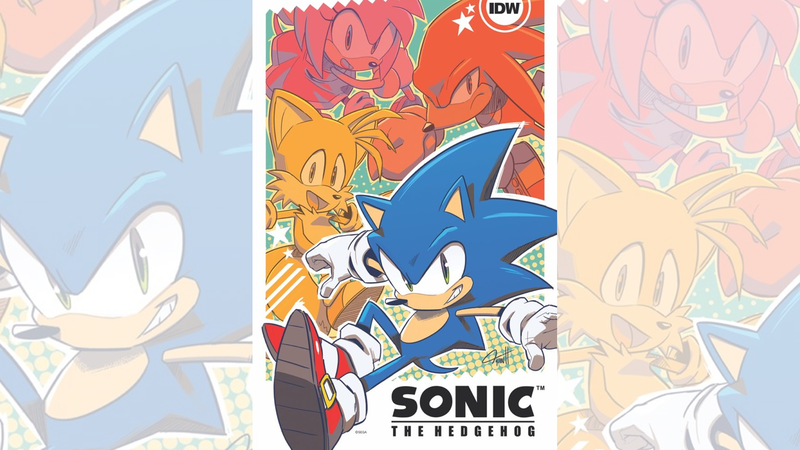 While Ian Flynn is the only name that has been confirmed for IDW’s Sonic the Hedgehog comic, they did give attendants of the Sonic Comic Town Hall panel a printed copy of Tyson Hesse Sonic the Hedgehog artwork. Maybe teasing him returning to the Sonic comics? IDW also said they are aware of fans wanting to see the return of the Freedom Fighters and told them to stay tuned. As far as content goes, IDW confirmed that they are allowed to use anything from the Sonic the Hedgehog games and has confirmed that there is no Sonic Forces comics in the works ‘as of right now’. As far as original characters, IDW said they may create some and are considering crossovers. You can read the press release after the jump. 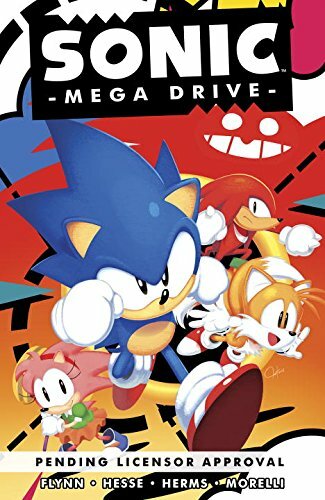 Sonic: Mega Drive is fast becoming one of Archie’s most popular Sonic the Hedgehog comics series. Fans enjoy the classic Sonic steeped storytelling of Ian Flynn, the beautiful and hilarious art of Tyson Hesse and of course the colors of Matt Herms and lettering of Jack Morelli. Archie, meanwhile, has enjoyed the success the two (soon to be three) one shot specials received in sales – the first installment became the first Archie Sonic comic to sell out! Fans who were late to the Sonic: Mega Drive party, or who just want a handy collection of all three comics, will be happy to learn that Archie plans to release a trade paperback of all three July 18th, 2017. The paperback is available to pre-order now on Amazon, or you can order it from your favorite comic shop. It’ll be great to have the full story in one handy book, and no doubt there will be bonuses including a covers gallery, pencil sketches and more! We got some communications problems in this weeks Sonic Talk. Makes for some humorous moments though. In this episode, we talk about the latest movies we’ve seen and our time at the San Diego Comic Con. We also talk about the controversy surrounding the dark, violent dialogue in Sonic Lost World and speaking of dark dialogue, Alex goes on a rant about Ken Penders and the Ouya. It’s been 13 episodes, but Sonic and Mega Man comic scribe Ian Flynn is back for another interview! We’ve got over two hours of questions from you, the fans! We’ll be taking about World’s Collide, the future of the books, his team up with Dawn Best on Sylvanna and his work on the superhero comic, The New Crusaders.Also, check out my written interview with Ian over at the Sonic Stadium. For those waiting for the MP3/iTunes version, that will be up later this week.